Cheers to 25 years! ifiGOURMET is celebrating its 25th anniversary this June. The family owned company was born in the bakery business and has flourished into a leading importer and master distributor. 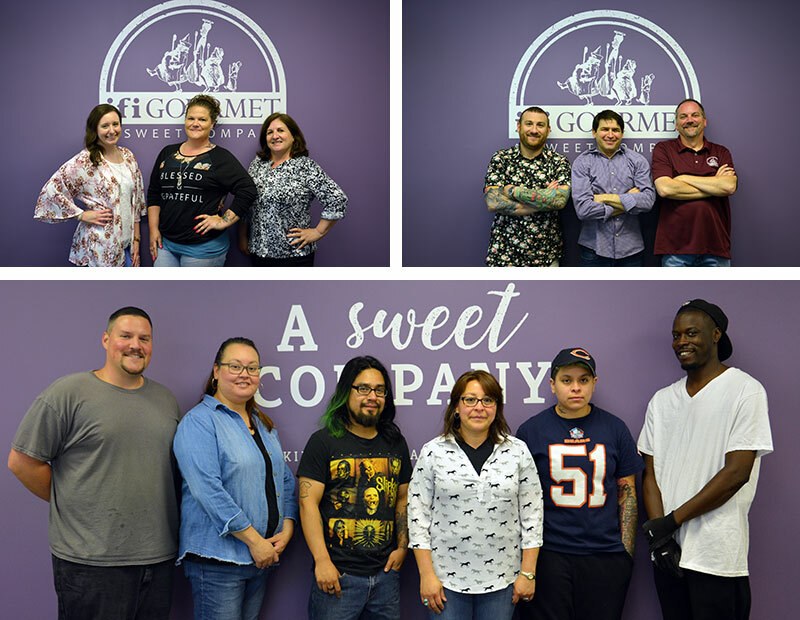 Since its launch in 1993, ifiGOURMET has provided businesses across the country with an extensive assortment of specialty ingredients and convenience products that offer exceptional solutions for the dessert professional. ifiGOURMET first began as 'Brownstein Associates', a food brokerage company headed by ifiGOURMET President and Vice President Bob and Barbara Brownstein. When they first began the company, they did not have a warehouse, a computer, or wide variety of merchandise. Their primary products were basics such as sesame seeds, sprinkles, and pecans. However, they wanted to offer more. Later on, Bob was contacted by Jean Ducourtieux, a European pastry company, to sell and distribute their ready-to-fill sweet tart shells. "They came in and said 'if you open up a warehouse, we will give you an exclusive in the USA' and that's what we did." Following the introduction of sweet tarts, the company expanded further to include products like glazes and chocolate specialties. Bob and Barbara traveled to food shows in Europe to expand their offering and found their first glaze supplier, Carels, who still does business with ifiGOURMET today. They then started working with Dobla and Luijckx to source chocolate cups and decorations. However, in order to house the chocolate they were now distributing, the warehouse needed a chocolate room- so the family went to work. But what they built is something they laugh about today-their first ever chocolate room consisted of one air conditioning unit in the wall. We now compare this to a huge, constantly chilled chocolate room at their warehouse location in Gurnee, IL. Another funny but heartwarming memory is the introduction of the current CEO to ifiGOURMET. CEO Rick Brownstein was sweeping floors of his parents' company in high school and then officially came into the family business in 2003. Rick graduated from the University of Colorado and went to work for LaSalle Bank after graduation. He then transitioned from commercial banking to investment banking when he joined BMO Nesbitt Burns in Chicago. So how did he end up at the family business? "I think we really started talking after we worked on one of my father's bank deals... that's where I got the first look at the business. I really enjoyed what I was doing and it was very fulfilling, but you get to a point in your career in investment banking where you have to leave the business and go back to school. And at that point in time I had to make that decision. The market was really bad; there weren't many jobs in investment banking at that point. I could have left and gone to school and waited for the market to change, but I started to think about what I was doing. While working in banking, I had the opportunity to work with business owners, and that planted the seed that I really wanted to run and own my own business at one point in time. And it just started to click for me that the Company Bob and Barbara had built represented a great opportunity. I felt that ifiGOURMET was the ideal platform where I could come in, learn the business, and have the opportunity to work with my family and build a great Company," said Rick. Before starting though, he attended the IDDBA (International Dairy Deli Bakery Association) Show in Minneapolis with his father. "We walked the show together and I remember meeting many of Bob's important relationships. They were very gracious and always had great things to say about him. It was clear that his relationships were important, and now looking back at it, those were the people that got him into business and helped build this Company," said Rick. Following that experience, Rick decided to work for ifiGOURMET. "My fondest memory was the day that I started because I was coming out of investment banking and was full of ideas. Bob sat me down and said 'this is a sales business, and the only way to learn this business is to take care of customers and go out and sell'. So that's what I did, I hung up the calculator and covered the Midwest territory. The experience shaped my view and vision for the business," said Rick. Thankfully, both Rick and Bob had similar business ideals that they wanted to make the company known for. "[Bob and I] agreed that one of our goals was to build a company that wasn't just about us, that is was a company that could stand on its own... that it was bigger than us. And I feel like we have done that. We have built a company that people are interested in, and, if the Brownstein's weren't here, it could survive and continue," said Rick. ifiGOURMET prides itself in great customer service, speedy delivery, and quality ingredients. However, it also places high importance on its relationships with suppliers. I have a great sense of pride that we have developed great, long-term business relationships with our suppliers and customers by nurturing our mutual businesses and watching them grow. I have a great sense of pride that we have developed great, long-term business relationships with our suppliers and customers by nurturing our mutual businesses and watching them grow. This is important business for us and for them," says Brownstein. However, there are other relationships that help drive the business, and that is with their own workers. The company began with a staff of 5 people and now employs almost 40. "There are people who have been with us since the beginning and that gives me the greatest sense of pride. The fact that we built an environment that so many families and people benefit from, that choose to come to work here and stay with us, always impresses on me. As a business owner you wouldn't want it any other way," says Brownstein. "My grandfather, Major Lawrence, [who started Lawrence Foods] set the tone for all of us. Major's way was that the business was for the family, and the employees. And that lesson stands- to take care of the family, to take care of people that work here." ifiGOURMET has now evolved into an important distribution company serving hundreds of businesses and offering thousands of products. So how does the family feel now after 25 years of watching it grow? "For me, it's like raising a child. You get to see the good and the bad, but you have this pride in the company. When Rick started, my feeling was that it's the changing of the guard and that he is going to take us, and he has, to a different level. And that was the expectation," said Bob. "...and I as a mother, can't even express how I love coming every day and working with my kids and my husband. [Before this] I was a stay at home mom and a 2nd grade teacher. Then all of a sudden, I'm doing all the accounting and invoicing. 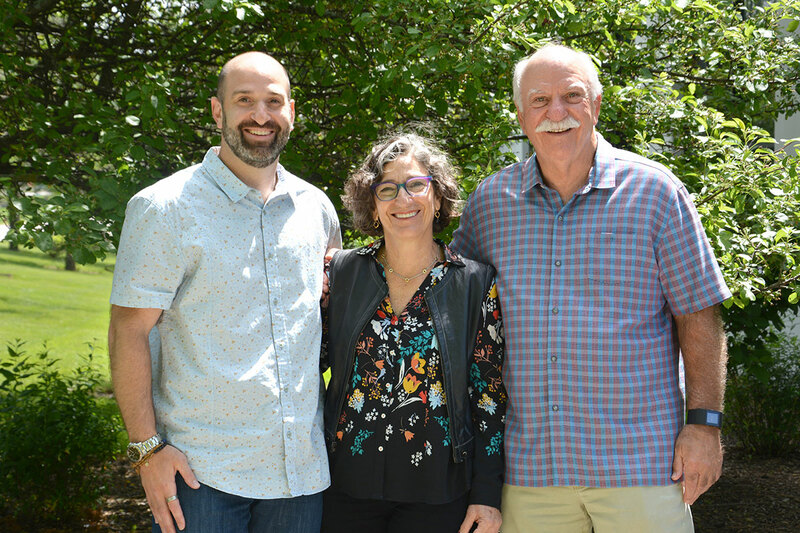 It was a big transition, but the biggest pleasure of all is watching [Rick] build a business together with his siblings, Todd and Jodi Brownstein, who have both recently joined the company," said Barbara. With its internal growth came external growth too. ifiGOURMET acquired specialty foods distributor Marque Foods in 2015. Marque Foods supplies the Bay Area, Reno, and Los Angeles, California. "In 2015, I had been here 12 years and we had just started to talk about buying other businesses. So we got that deal done and it's been great for our organization. It gave us much better access to the Western market and a deep understanding of the food distribution business. Marque Foods has helped develop our vision of being a truly national purveyor with the footprint to support our broad range of customers," said Rick. Rick also upholds ifiGOURMET's ideals with Marque Foods. "What we do and how we treat people is not a new business model... we are 25 years in but we are really just being born in some regards."